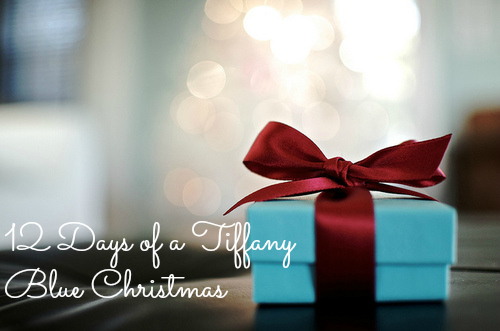 On the 6th Day of a Tiffany Blue Christmas, we’re talking one of my FAVORITE parts about Christmas! Every year, my list of destinations for Christmas cards grows thanks to the power of the internetz (ok, let’s face it, Twitter) and all of the amazing, lovely people and friends I’ve met because of it. I mean, one look at my roster of best friends and many originated on Twitter, so what’s another thing I’m thankful for this Christmas? Twitter, always. Of course, I love sending cards in the mail to my local best friends too! Especially all of those spending Christmas in their first home! I’m looking at your H&P and J&M and S&G! I seriously just love sending (and receiving) Christmas cards. This year, I thought it would be really fun to see how many destinations mine and your cards travel to! Keeping it within Canada? How many provinces, eh? Sticking in the USA? How many states, yo? Cards flying internationally? Donde esta cards? I give up. 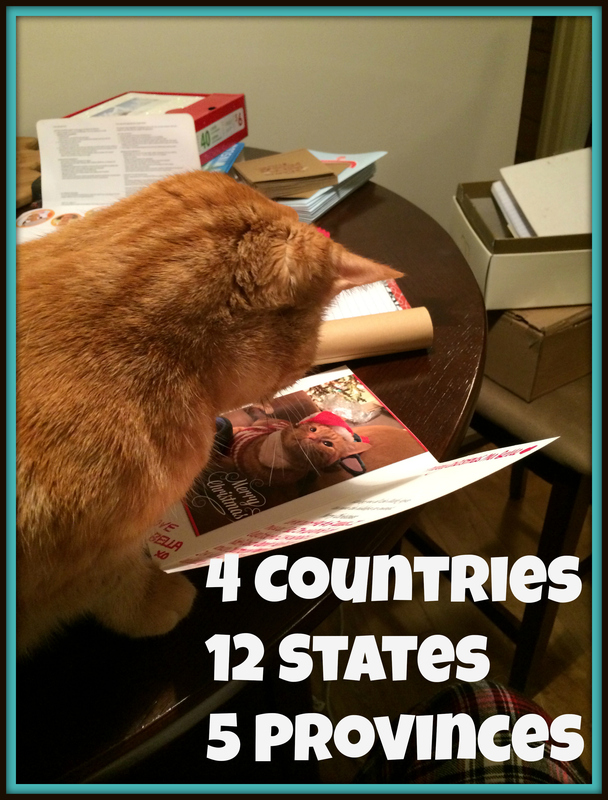 My cards travel to Canada, the USA, Portugal, and Australia! With stops in states from New York to Seattle to California and Tennessee! And everywhere in between. In the homeland, they end up as far west as Vancouver. 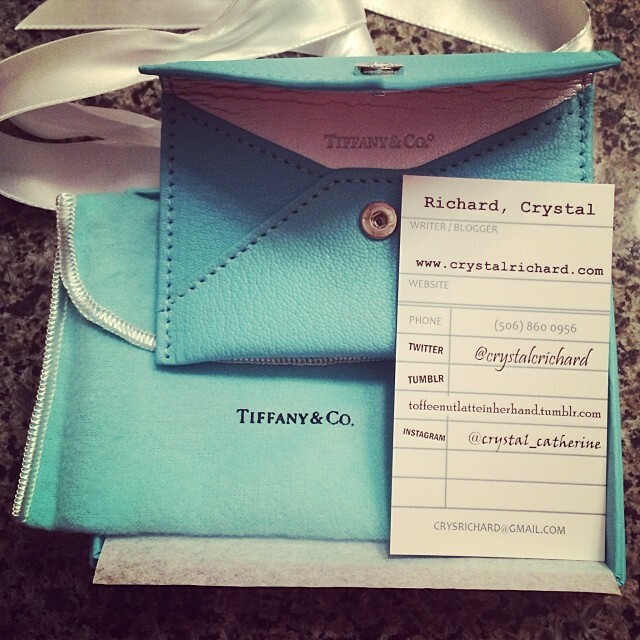 Lastly, in case you haven’t figured it out already, I’m a huge fan of Tiffany & Co. and absolutely love the Tiffany blue color around the holidays. In fact, I even have a mini Tiffany Christmas tree complete with blue and silver ornaments. It’s not Christmas without a Tiffany box under the tree and so I was absolutely speechless when I opened a gift from one of my lovely besties Sarah this week and discovered a blue Tiffany box inside. An early 30th birthday present but sent in time to be enjoyed over Christmas and placed under the tree! Maybe this is just the right kind of inspiration to get me back into editing my book over the holidays. Tomorrow, we talk your favorite holiday song! words cannot say how awesome those business cards are!